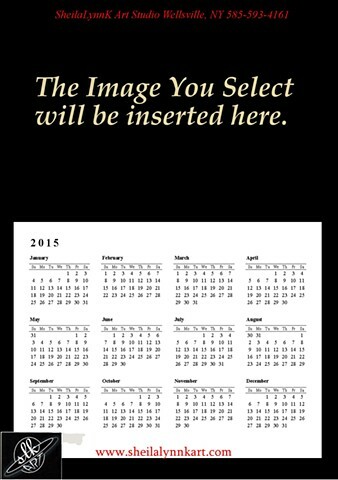 This one page 12 month calendar poster will feature the image of your choice in the space indicated. Visit the portfolio to select an image. Indicate the title of your selection at time of purchase. Contact the studio or send the Mail Order Form from the above tabs. Local patrons may schedule studio pick-up to eliminate shipping cost.